Before becoming a freelancer, Brian Francis Slattery was senior editor of the Journal of International Affairs, the public-policy journal of Columbia University’s School of International and Public Affairs (SIPA). He hold a masters in international affairs from SIPA, specializing in economic development and international law, and a bachelor of arts in English from Williams College. 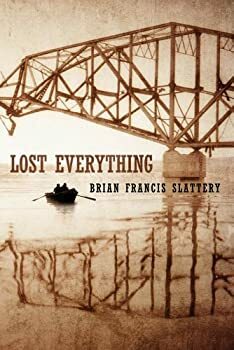 Lost Everything, by Brian Francis Slattery, is a surprisingly small-bore and quiet post-apocalyptic novel. Where many deal with destruction on a country-wide or global scale and follow near-epic quests by some doomed or maybe-doomed survivors, Slattery takes his characters through a just-as-ravaged countryside but it all seems a little more domestic than the usual sort of end-of-the-world tale, a twist that is both the book’s strength and its weakness. Spaceman Blues: A Love Song — (2007) Publisher: When Manuel Rodrigo de Guzmán González disappears, Wendell Apogee decides to find out where he has gone and why. But in order to figure out what happened to Manuel, Wendell must contend with parties, cockfights, and chases; an underground city whose people live in houses suspended from cavern ceilings; urban weirdos and alien assassins; immigrants, the black market, flight, riots, and religious cults. 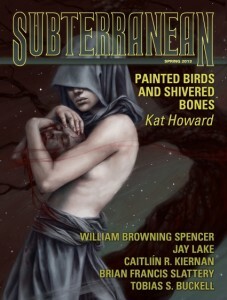 Painted in browns and grays and sparked by sudden fires, Spaceman Blues is a literary retro-pulp science-fiction-mystery-superhero novel, the debut of a true voice of the future, and a cult classic in the making. Liberation: Being the Adventures of the Slick Six After the Collapse of the United States of America — (2008) Publisher: From the author of the literary pulp phenomenon Spaceman Blues comes a future history cautionary tale, a heist movie in the style of a hippie novel. Liberation is a speculation on life in near-future America after the country suffers an economic cataclysm that leads to the resurgence of ghosts of its past such as the human slave trade. Our heroes are the Slick Six, a group of international criminals who set out to alleviate the worst of these conditions and put America on the road to recovery. Liberation is a story about living down the past, personally and nationally; about being able to laugh at the punch line to the long, dark joke of American history. Slattery’s prose moves seamlessly between present and past, action and memory. With Liberation, he celebrates the resilience and ingenuity of the American spirit. CLICK HERE FOR MORE BY BRIAN FRANCIS SLATTERY.